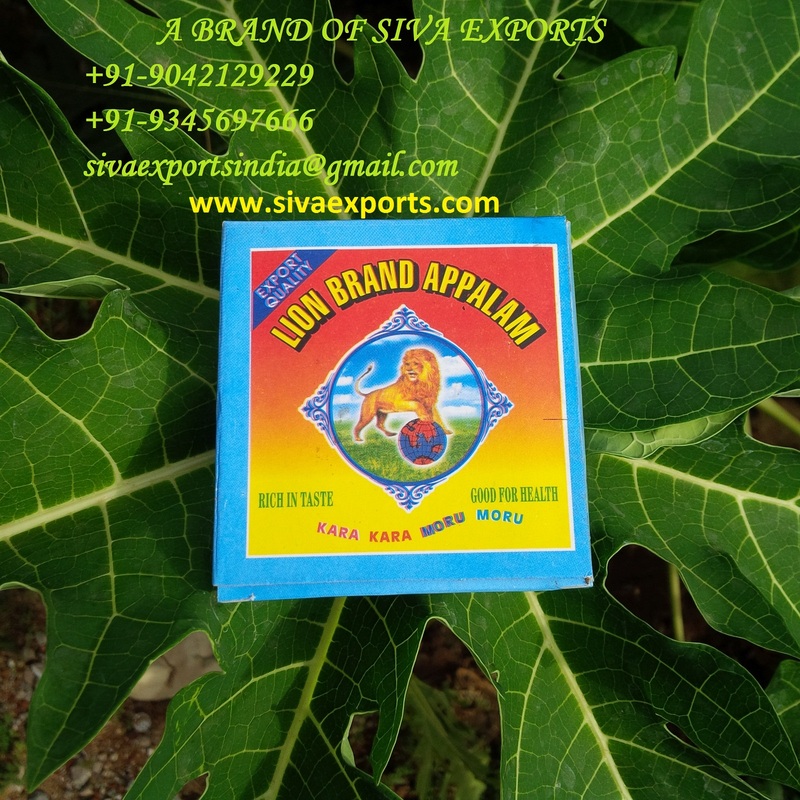 Siva Exports is one of the best appalam exporters in Madurai, Tamilnadu, India. We are doing this business for over 4 generations. Some of our brands are very famous in some cities in india. We produces a appalam at most pure atmospheric condition. We are manufacturing a best quality appalam in different sizes and different ingredients. Appalam is a best side-dish which was taken along with meals. We are using a high quality pure urid dal flour in production which ensures a supreme quality and long life for appalam. We have our own flour mill to make the urid dhall flour in pure quality.Appalam is also called as papad in most of the countries.Now-a-days appalam became a very demand product in india and overseas countries.